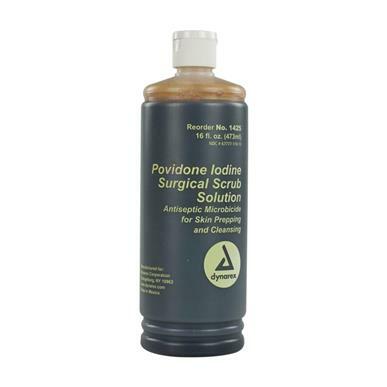 Navigate: StoreFront / Wound Care / Skin Care / Povidone Iodine Scrub Solution, 16oz. 7.5% povidone iodine, U.S.P. equivalent to .75% available iodine. Effective for pre-operative hand scrubbing, surgical site preparation and antiseptic scrub for minor first aid. 16oz bottle.